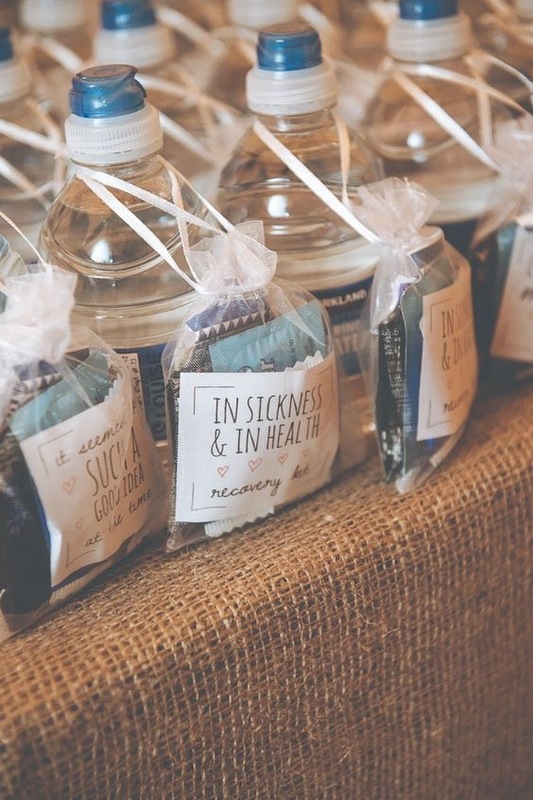 Wedding favours can be a tricky business. 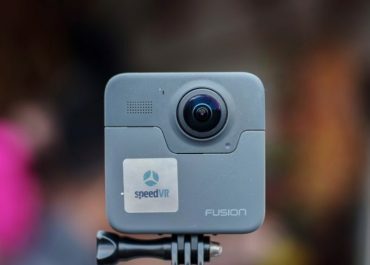 You want to thank your guests for coming with a memorable gift they’ll really enjoy, but it can get pricey. This is particularly true if you’re having a big wedding, with lots of guests to cater for. 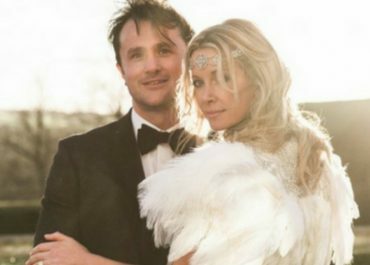 With so many other important factors to pay for, shelling out a large chunk of your wedding budget on favours can be frustrating. But, there’s a way round it. 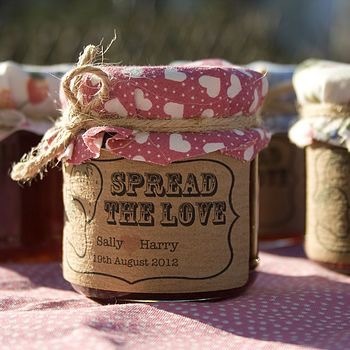 It’s time to get your hands dirty because here are our top wedding favour ideas you can make yourself. 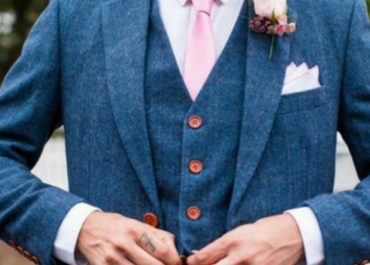 SO simple, and SO cute! 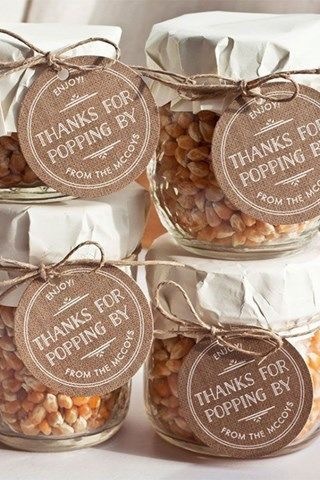 Just fill up a jar with popcorn kernels, slap on a label and you’re good to go. 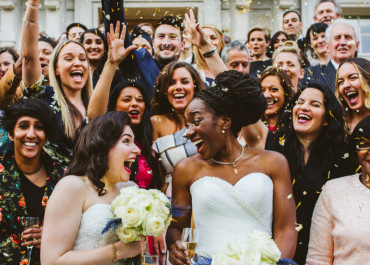 You’ve worked hard on your wedding playlist and you just know that everyone’s going to be up dancing all night. 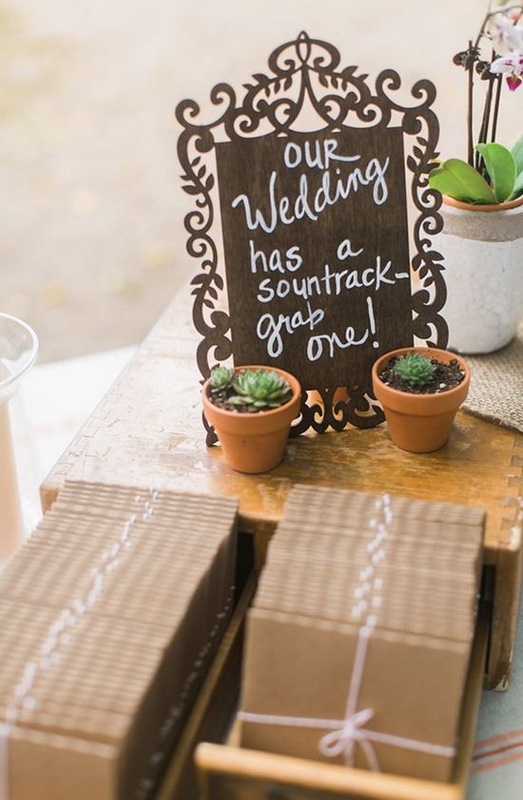 Let the party never end and send them home with the soundtrack to your wedding on a CD or memory stick. Sloe gin may be slow to make, but by no means is it a complicated task. 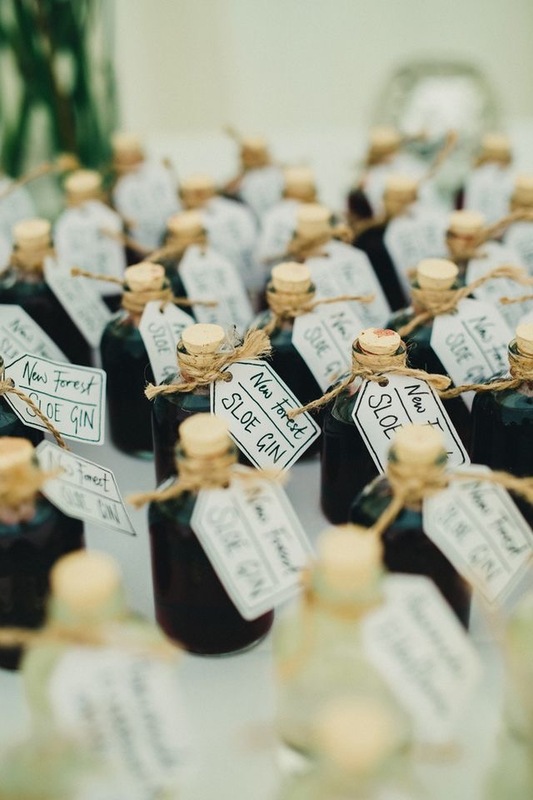 Mix gin with sloe berries and caster sugar for a truly delicious tipple. But remember, you need to leave the mixture to steep for a minimum of two months, so don’t leave this task to the last minute. Click here for the full recipe. 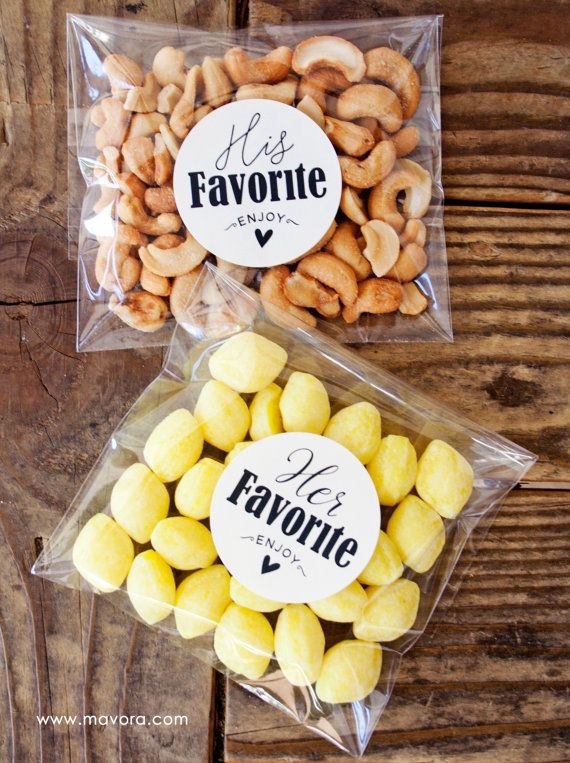 Make it personal with homemade snack packs of yours and your spouse-to-be’s favourite treat. 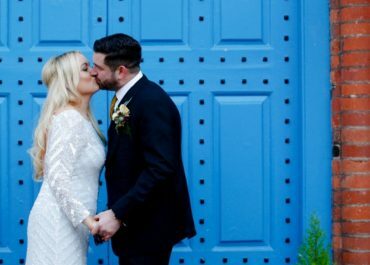 If you suspect the majority of your guests are going to have a sore head the morning after your wedding, help them out with all the hangover essentials, including paracetamol, water, chewing gum and small snack. Put it all together in a handy and super cute kit. Did you know it’s actually pretty easy to make your own candles? We love this tea cup idea, all the more perfect if you’re having a vintage-style wedding! 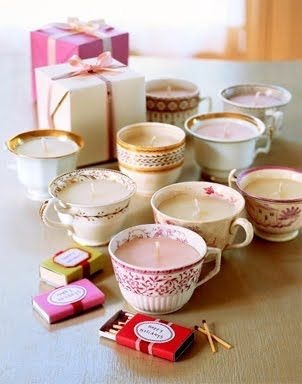 We say try scouring charity shops for different tea cups to make your candles in. 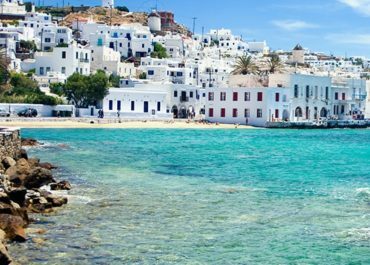 With a bit of online research you’ll easily find mini cans of soft drink and mini bottles of spirits that you can buy in bulk at an excellent price. 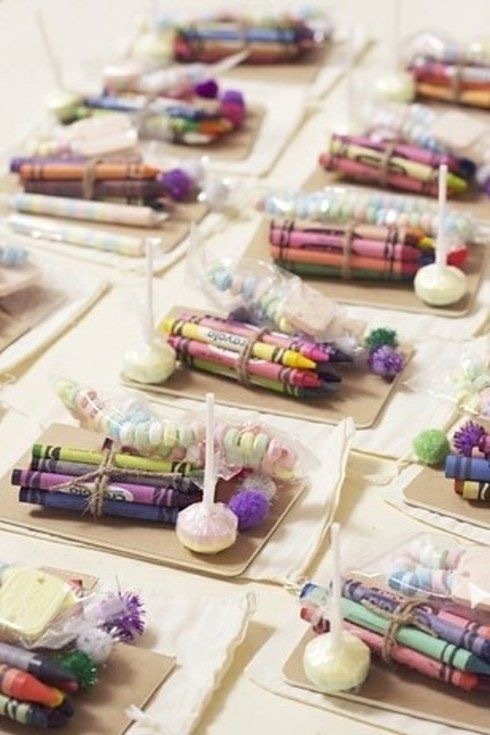 Tie them together with a small jar to create these lovely little favours. Have you ever made jam before? 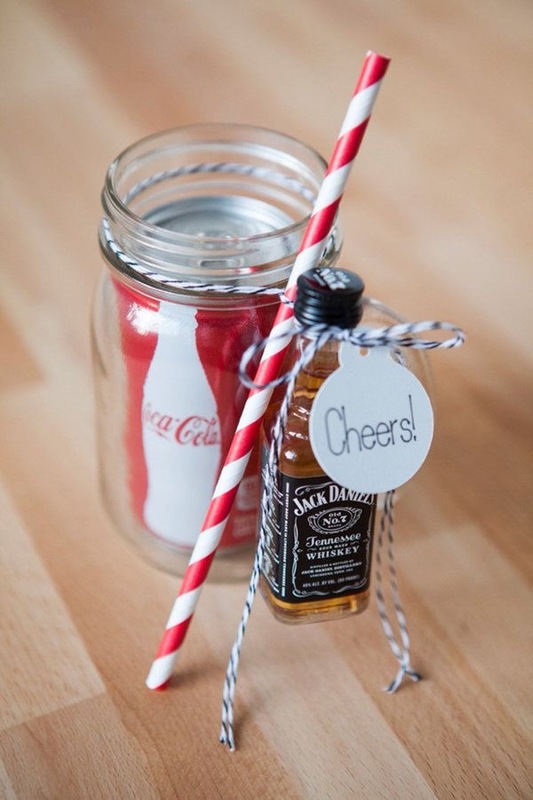 It’s surprisingly easy and makes a lovely wedding favour! Find the recipe here and finish off the gift with a personalised label. 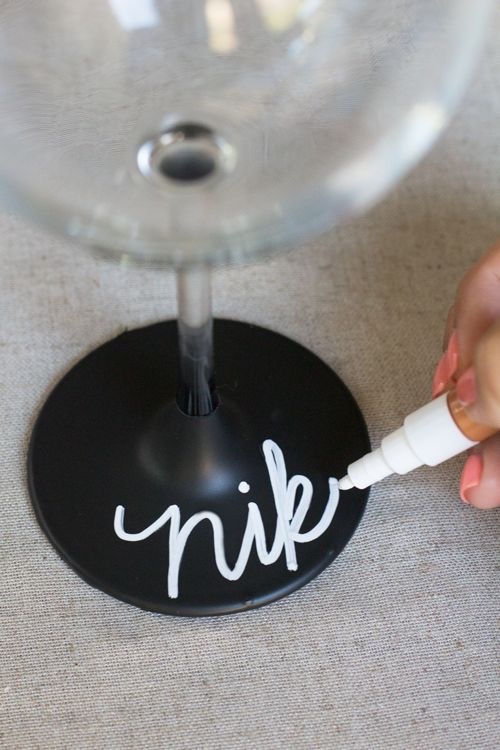 Dip the base of a wine glass in chalkboard paint for a DIY wedding favour that can easily be personalised to each guest.